In the 2017 Florida legislative session that ended May 8, 2017, the effort to repeal the Florida Personal Injury Protection Law and replace it with a Mandatory Bodily Injury Insurance plan was defeated. The good news for medical providers in Florida is that PIP will remain as it is. Florida chiropractors, MRI facilities and other medical providers who treat auto accident victims are thankful that in April, while the Florida House of Representatives voted 89-29 to replace the PIP system, the Senate did not pass the bill. Proponents of the bill to replace PIP argued that its proposed program to replace PIP could have possibly saved individuals on their premiums, but those savings were minimal. Some estimates cited as few, or as much as only $20.00 to $80.00 per year. What Florida accident doctors know, and what those who have needed to use their PIP insurance after an accident know, is that the ability to quickly and easily seek treatment for accident-related injuries, and the quick payment of those bills, is vital to recovery. Why did legislators want to end PIP? There were many reasons behind the push to repeal Florida’s PIP law. Some voiced concerns about high rates of insurance fraud perpetrated by people taking advantage of the no-fault program to file fraudulent claims. This is evidenced by the fact that the ever-rising number of PIP claims is not on par with the steady number of auto accidents that have occurred. Some aspects of PIP coverage can also duplicate a person’s health care insurance benefits, and the price of PIP coverage has been rising. Had the new bill been enacted, it would have required every vehicle owner to carry bodily injury coverage of at least $25,000 per person and $50,000 per accident. Under the current PIP system, Florida does not require bodily injury coverage. PIP does provide one immediate benefit, however, that Mandatory Bodily Injury would not have. If you or your loved one sustains a serious injury from a car crash, PIP pays out much more quickly than Mandatory Bodily Injury insurance company will. You don’t have to worry about your day-to-day bills, your lost wages or the cost of your medications, because PIP insurance will give you up to $10,000 automatically to help cover those costs. 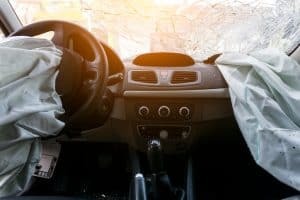 Dealing with insurance companies can be confusing after you have sustained a serious injury in a car crash that was the result of another driver’s negligence. The skilled Fort Lauderdale car accident attorneys from Yeboah Law Group have the experience to navigate the complexities of PIP. We encourage you to contact the Yeboah Law Group for a free consultation with a Fort Lauderdale PIP attorney. Call us today at 1-800-TELL-SAM or fill out our contact form to learn more about our services. What is the Future of No-Fault Law and PIP in Florida?